Finding quality depth for contenders can be quite a conundrum. For every aging veteran looking for a World Series ring there are plenty of younger guys that end up with lousy teams because they have a clearer path to playing time. I hate to think of disaster scenarios, but here is a look at the players who could become key replacements if injuries happen throughout the season. Please keep in mind – I am not considering any current injuries to the minor league guys unless they’re season-long issues. Yunesky Maya already got called up despite a meh 5.07 ERA in 49 and 2/3 innings at Syracuse. Sadly, there was only one starter in AAA doing much better (Danny Rosenbaum, with a 3.04 ERA in 47 and 1/3 innings). The rest of the rotation (Ross Ohlendorf, Chris Young and Ryan Perry) all sport ERA’s north of 5.13, with Perry and Young hanging out in the 7’s. Harrisburg isn’t much different, with an improbably four starters (Caleb Clay, Paul Demny, Nate Karns and Blake Treinen) all with ERA’s between 4.60-4.69. Brian Broderick brings up the rear at 5.21. Fernando Abad got called up due to his sparking start (1.06 ERA). If Zach Duke continues to struggle or if Abad continues his track record of being abad pitcher (har har har), don’t be surprised to see Xavier Cedeno (1.17 ERA, 12 K in 7 and 2/3 IP) get called up next. Cedeno was claimed off waivers from the Astros about a month ago and is on the 40-man roster. HM – Bill Bray (0 runs allowed, 0.962 WHIP, 6 K/BB in 4 and 1/3 innings so far in AA), Ian Krol (0.79 ERA, 0.750 WHIP, 4.33 K/BB in 22 and 2/3 innings in AA), and Pat McCoy (3.09 ERA, 0.943 WHIP, 5.50 K/BB in 11 and 2/3 innings in AA, but 9.95 ERA, 2.211 WHIP and 1.50 K/BB in 6 and 1/3 innings in AAA). At some point, Christian Garcia should return from injury and I would be surprised if he weren’t given another chance at the bullpen (despite the organization wanting to stretch him out into a SP). Erik Davis is more than knocking on the door, with a 1.31 ERA and 4.00 K/BB ratio in 20 and 2/3 innings at AAA. Aaron Barrett is doing everything he can to move up the ladder, with a 2.95 ERA and 7 saves in 18 and 1/3 innings for Harrisburg. Ryan Tatusko has a nice 2.97 ERA in 30 and 1/3 innings this season despite a 1.549 WHIP and 1.55 K/BB, but sadly sticks out in a positive way compared to the rest of the Syracuse squad. Jhonatan Solano is currently backing up Kurt Suzuki in DC while Wilson Ramos recovers from injury, Carlos Maldonado is getting older and wasn’t that good when he was young anyways. Sandy Leon is still the #1 catching prospect in the system. HM – Brian Jeroloman, Kris Watts and Jeff Howell because they all appeared in Syracuse this year doing catchery things. This is where we have to start getting deep into theory. Chris Marrero is the Nats’ top minor league first baseman, but if Adam LaRoche went down due to injury, wouldn’t we see some sort of Zimmerman-Rendon corner IF combination instead? Tyler Moore would theoretically still be around to help out then as well. The fact that the Nationals have no choice but to stick with Espinosa and Lombardozzi, who have combined for a -0.7 WAR this season, is not exactly inspiring. Will Rhymes was brought aboard to provide depth, and while he has handled the strike zone well for Syracuse (18 BB/12 K), he’s just not that good in general. Jeff Kobernus has cooled off since his hot start, but is still hitting .329/.368/.418 on the year with 20 stolen bases in his first 42 games. The Nats could give Rendon a shot to hack it at 2B under the “welp, can’t do any worse” logic. HM – Melvin Dorta. Yes, that’s kind of a joke (he played in 15 games for the Nats in 2006), but it’s also kind of not a joke (he’s currently on the 7-day DL in Harrisburg). The Nats are a little unlucky for their top prospect to be blocked by one of their top players. 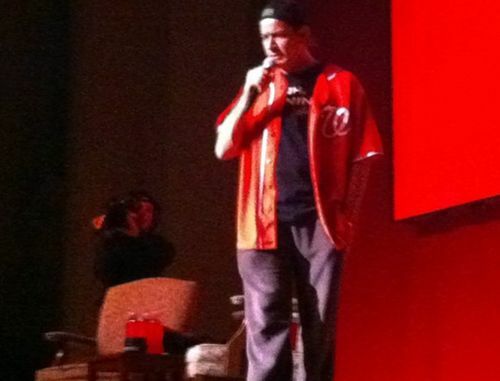 Since Ryan Zimmerman has shown the tendency to get banged up a bit, it’s not a horrible thing, though. Behind Rendon, there is tweener prospect Carlos Rivero, who isn’t exactly helping his cause with a .231/.312/.281 triple slash for Syracuse. Will Rhymes can play 3B in a pinch, and I could see the Nats trying Zach Walters there if worse came to worst. HM – Zach Walters I guess. This is where it gets a little ugly. Zach Walters is a talented guy, but that doesn’t excuse his 6 BB/45 K ratio. Josh Johnson and Jose Lozada are 27 year olds struggling in AA. Jason Martinson could make a push, but he’s still 24 in high-A ball. Rick Hague (.774 OPS in AA) is a dark horse, but is a poor fielder while Brian Bocock is a good fielder with ML experience that couldn’t hit the ball if it were the size of a dark horse. With Jayson Werth already out with an injury, the Nats had to delve into the AAA stash, grabbing Eury Perez for a little while before he was sent down for pitching reinforcements. Corey Brown is the only other outfielder on the 40-man roster, and he’s struggled to a .237/.297/.458 triple slash to start the season. Kobernus has played in the outfield for 28 of his 42 games this year, so he would be a decent option. Micah Owings and Erik Komatsu are not looking great at the moment but towards the latter part of the season could be in the mix with rebound years. 2 – Corey Brown (I’m not concerned about the mediocre start to the season. He’ll start hitting soon). HM – Owings (.748 OPS this year), Komatsu (.435 – not a typo), Chris Rahl (.677) and Jered Head (.834). Yeah, that’s why Tyler Moore and Roger Bernadina haven’t been cast away from the ML Nats this year. 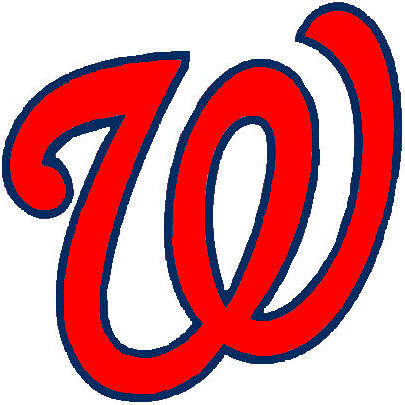 The Nationals won a Major League leading 98 Games Last Year. They were thought to have the best roster in the Major Leagues – Throughout the system, the cupboard is sparsely filled but not quite bare. With only one real contributor on the horizon in Rendon and a few utility parts here and there, the Nats have to hope that they can keep healthy as the season continues. The team enters play today at 25 – 24 (5.5 GB Atlanta) and also 5 behind the Playoff Bar. For just $3 – you will receive all the information to go ahead on the 2013 season to your favorite reading device -plus reflect on a 98 Win year in 2012. 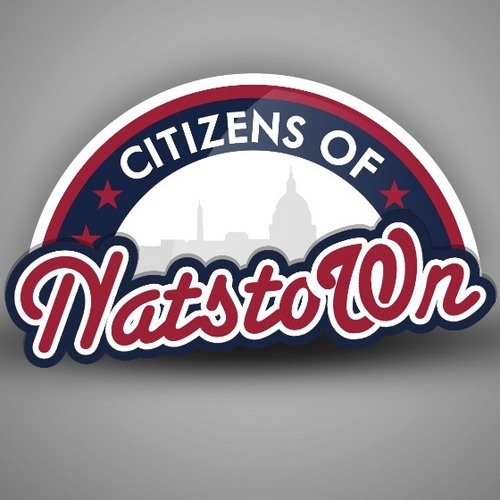 Don’t forget to bring your #Natitude! 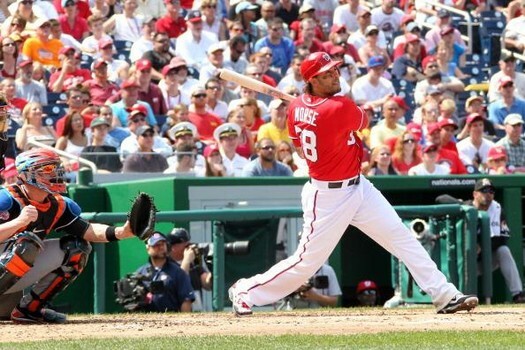 – #LetTeddyWinin2013 and rock #Natstown! Posted on May 26, 2013, in The Rest: Everything Baseball and tagged @citsofnatstown, @seanhoganvt on twitter, a, adam laroche, Atlanta Braves, bill bray, blake treinen, brian bocock, Brian Broderick, brian jerolomon, bryce harper, caleb clay, carlos maldonado, carlos rivero, Chris marrero, chris rahl, chris young, christian garcia, cole, cole kimball, corey brown, danny espinosa, erik davis, erik komatsu, Eury Perez, fernando abad, harrisburg senators, iank krol, j, jason martinson, jayson werth, jeff howell, jeff kobernus, jhonatan solano, jimm van ostrand, jose lozada, josh johnson, Kris Watts, matt swynenburg, melvin dorta, micah owings, mike costanzo, Mike Morse, nate karms, nationals park, neil holland, NL east, paul demmy, rich hague, roger bernadina, ross detwiler, ross ohlendorf, ryan mattheus, ryan perry, ryan tatusko, sandy leon, steve lombardozzi, tyler clippard, Tyler Moore, washington nationals, will rhymes, Wilson Ramos, www.citizensofnatstown.com, Xavier cedeno, yunesky maya, zach duke, zach walters. Bookmark the permalink. Leave a comment.